Rafael Campo was born in 1964 in Dover, New Jersey. A graduate of Amherst College and Harvard Medical School, he currently teaches and practices general internal medicine at Harvard Medical School and Beth Israel Deaconess Medical Center in Boston, where his medical practice serves mostly Latinos, gay / lesbian / bisexual / transgendered people, and people with HIV infection. He is the author of The Other Man Was Me (Arte P�blico Press, Houston, 1994), which won the 1993 National Poetry Series Award; What the Body Told (Duke University Press, Durham, 1996), which won a Lambda Literary Award for Poetry; and The Poetry of Healing: A Doctor's Education in Empathy, Identity, and Desire (W.W. Norton, New York, 1997), a collection of essays now available in paperback under the title The Desire to Heal, which also won a Lambda Literary Award, for memoir. His poetry and prose have appeared in many major anthologies, including Best American Poetry 1995 (Scribner, New York, 1995), Things Shaped in Passing: More "Poets for Life" Writing from the AIDS Pandemic (Persea, New York, 1996), Currents in the Dancing River: Contemporary Latino Fiction, Nonfiction, and Poetry (Harcourt Brace, New York, 1994), and Gay Men at the Millennium (Putnam, New York, 1997); and in numerous prominent periodicals, including DoubleTake, JAMA, the Kenyon Review, The Lancet, the Los Angeles Times, The Nation, the New England Journal of Medicine, the New York Times Magazine, The New Republic, Out, the Paris Review, The Progressive, Salon.com, Slate.com, the Threepenny Review, and the Washington Post Book World. His work has also been featured on the National Endowment for the Arts website and on National Public Radio. With the support of a John Simon Guggenheim Foundation fellowship, he wrote Diva (Duke University Press, 1999), which was a finalist for the National Book Critics Circle Award, the Paterson Poetry Prize, and Lambda Literary Awards for poetry. 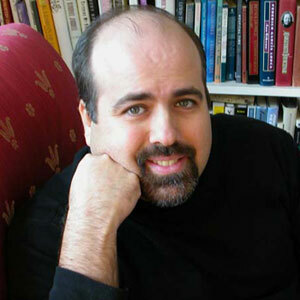 He is a recipient of the Annual Achievement Award from the National Hispanic Academy of Arts and Sciences and a Pushcart Prize, and he has served as Visiting Writer at Amherst College, George A. Miller Endowment Visiting Scholar at the University of Illinois, Champagne-Urbana and Fanny Hurst Visiting Poet at Brandeis University. He has lectured widely, with recent appearances at the Lannan Foundation, the Library of Congress, the 92nd Street Y, and other prestigious venues. He is also the recipient of an honorary Doctor of Literature degree from Amherst College. His newest collection of poetry, Landscape with Human Figure, was published in April 2002, and won the Gold Medal from ForeWord in poetry. In August of 2003, W.W. Norton published The Healing Art: A Doctor's Black Bag of Poetry, new essays on poetry and healing. "Song in the Off Season"
Broadside created by Paul Hunter/Wood Works Press for the poet’s reading for Counterbalance Poetry on Thursday, July 13, 2006. Printed from hand-set metal type on archival paper with original woodcut. Limited to 202 copies. Broadside created by Paul Hunter/Wood Works Press for the poet�s reading for Counterbalance Poetry on Wednesday, November 1, 2000. Printed from hand-set metal type on archival paper with original woodcut. Limited to 150 copies.